Imagine works of art created out of jewels. Would that please the original artist or make them angry. 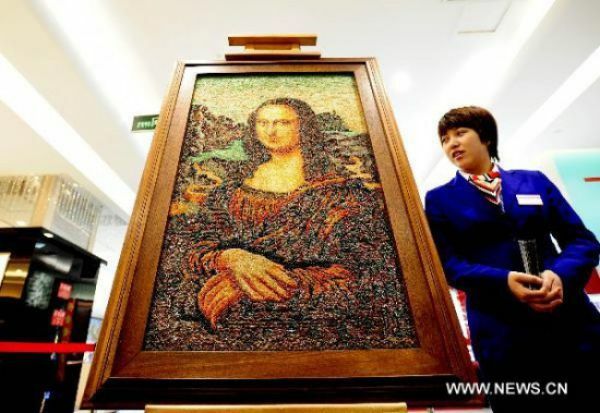 This replica of the Mona Lisa was created from over 100,000 jewels. Its cost is immeasurable. 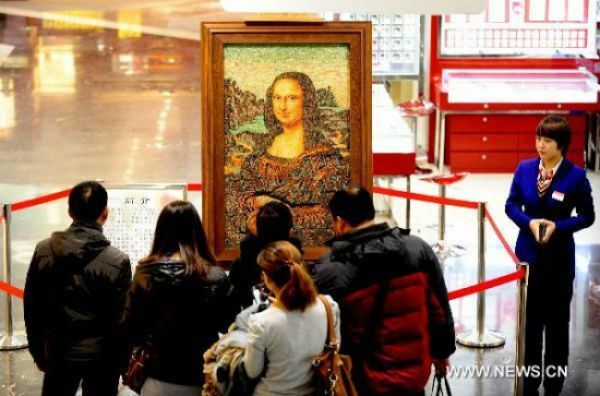 It is a good replica and many people flock to view the pricy art piece. The artist is nameless, but it is known that he is a Chinese jewelry collector who spent five years in creating this masterpiece of a masterpiece. He spent thirty years collecting the jewels that create the amazing creation. 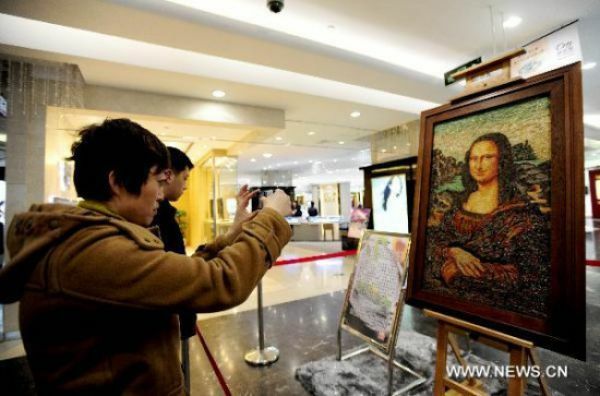 You can see this replica of the Mona Lisa at the shopping mall in Shenyang City, China. Learn Something Fun: Leonardo never signed or dated the painting. The dimensions of the painting are 30″ high and 20 7/8″ in width. The “canvas” she is painted on is made from a wood called poplar. The type of paint he chose to use was oil based.